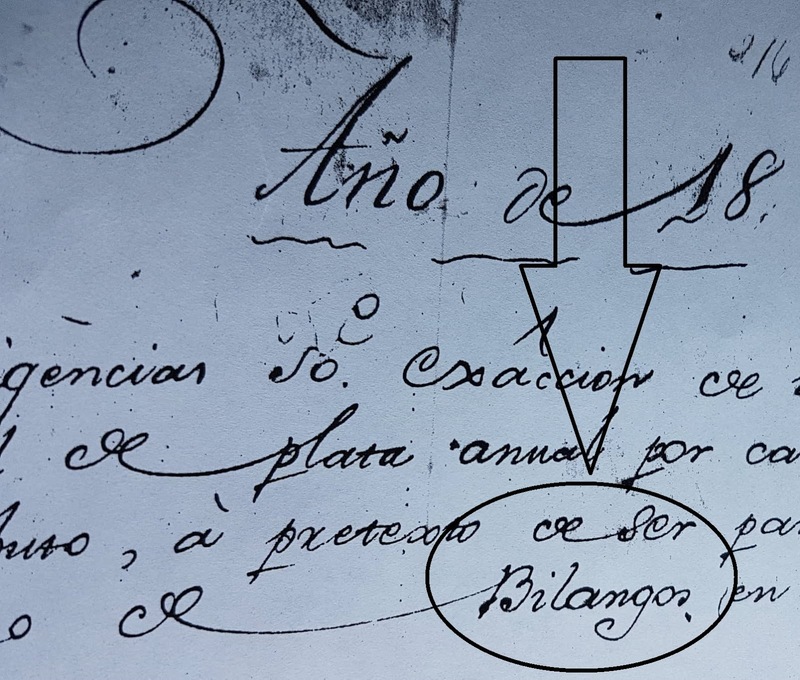 In this Spanish document, we see the word "bilangos," the plural of "bilango." A branch of the Pérez family on Guam is known as the familian Bilånggo. 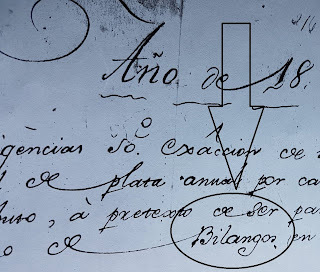 If you look at the picture above, the encircled word is bilangos, the plural of bilango, according to the Spanish way of spelling it. You can see the word again in the picture below. Two words down from bilango is another word - Alguacil, spelled with a Z instead of a C as it is spelled nowadays. Both words - Bilango and Alguacil - meant an officer of the law. A law enforcement agent. Back in the 1700s, the Spanish Government in the Marianas had a village position called the bilango. He was usually a member of the islands' troops who, by the late 1700s, were the descendants of the Spanish, Latin American and Filipino soldiers brought here earlier, many of whom married Chamorro women. At the time, each village had a bilango, who was like a sheriff or police officer. It's possible that an ancestor in this family was a bilango at some point, and he and his descendants were nicknamed Bilånggo. The title for that position was later changed and the word bilango was completely dropped. But the nickname survived to this day. One of the island's Bilånggos was Juan Cárdenas Pérez, who married Carmen Padilla Laguaña. His descendants are still known as familian Bilånggo. The Spaniards who set up the local government here knew the term bilango from the Philippines, where it was used already. So they simply used the same word here for the same village position as was used in the Philippines. In the Philippines, a local chief's (datu) constable, sheriff or law enforcer was called a bilanggo, who often used his own house as a jail. That's why the word bilanggo also came to be known as "to be jailed" - \ma bilanggo, or "jailed" - because the bilanggo apprehended you and put you in jail, often the bilanggo's own house. 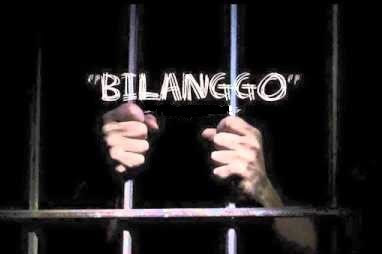 So bilanggo also meant a "prisoner, someone jailed." So maybe the Chamorro person given the nickname Bilånggo had also been imprisoned, instead of being the law enforcer as was the original meaning of the word. Either way is possible. But if bilånggo had, at one time, meant "prisoner" in Chamorro, as well as in the various Filipino languages, that meaning did not last. In fact, the word bilånggo didn't last at all in Chamorro, except as a family nickname whose meaning also became lost. Some people, like the author Jean-Paul Potet, speculate that the word bilanggo used in the Philippines actually comes from India, by way of Tamil, one of the many language spoken in India. In Tamil, vilangku means "fetters," or "chains." That, in turn, might come from another Indian language, Malayalam where belunggu or lunggu means "prisoner."